Budget Package Holidays vs Independent Travel - Which Is Cheaper? Budget Package Holidays vs Independent Travel – Which Is Cheaper? For those that refuse to allow monetary constraints to stand in the way of their travels, the shoestring or budget holiday is a gift sent from holiday heaven. With the right level of flexibility and a good bit of research, excellent flight and accommodation deals can be found for a range of bucket list destinations as well as those you might not even have considered had price not been a factor. Whilst organising your trip independently offers greater flexibility and may give you the freedom to embrace being the ardent explorer you are, is it really helping you to pinch those pennies quite as tightly as you might? Package holidays are put together by travel companies to suit the requirements of a wide range of people. So, it figures that if you are hoping to travel to a traditional holiday destination that’s popular with tourists from the UK, you’re likely to land an excellent deal. For example, a common choice of holiday for Brits is a trip to the Canary Islands – one of the most consistently sunny regions of Europe. As a result, there are a wide range of competitively priced packages to the Canaries, designed to tick all the boxes of the beach and pool-focused traveller. However, should you be on the look-out for a city break to vibrant Barcelona, romantic Prague or hip Berlin, you might find it cheaper to book independently. Firstly, budget airlines service these cities on a regular basis; secondly, there is a vast range of accommodation options from self-catered Airbnbs to hostels, just waiting to be discovered. What sort of extras are you looking for? If you’re the kind of traveller that seeks out the local places to eat or intend to spend much of your time lazing on beaches or hiking through rural landscapes, you might be better off booking independently – this sort of trip can come very cheap. However, if your idea of holiday bliss is indulging in fancy cocktails and trying new and exciting activities, a package deal that offers these extras as part of the price could well be just what the doctor ordered. Some holiday-makers would suit an all-inclusive break down to the ground, having their every whim catered for without even leaving their hotel, whilst others might end up feeling restless and decide to dine out on top of the package cost – which kind of defeats the object. How much time do you have to plan your trip? The independent travellers that score the cheapest deals are those that have time to dedicate to their craft. It’s only by shopping around, signing up to flight alerts and thoroughly scouring accommodation sites that you can create your bespoke bargain holiday with success. It’s this sort of traveller who is likely to cut their costs independently. Of course, for some people, the very concept of a holiday is switching off and putting your needs in someone else’s hands. This is where package holidays can offer more bang for your buck. It’s all been pre-arranged for you. This sort of traveller is unlikely to spend too long sifting through the chaff, in search of that golden deal and could well end up booking the first suitable option in order to quickly secure their trip. Be honest about which type of traveller you are, and you could well save some of your hard-earned cash. Are you booking last minute? If you’re planning a last-minute trip, package holidays could well be the best choice for a cheap and cheerful getaway. Travel companies with tickets to spare are likely to slash prices at the eleventh hour rather than leave holidays unsold. Packages can also disguise a myriad of hidden discounts, allowing hotels and airlines to offer cheaper prices without concerns they might be perceived as a cut-price brand. In comparison, the independent traveller is likely to secure better deals if they prepare well in advance – flight prices are notorious for rising as the departure date looms. Whichever option you choose for your next trip, the right travel insurance could pay dividends if any unfortunate incidents occur. Make sure you’re not left out of pocket by exploring our range of policies today. Get the best deal on your travel insurance for your next holiday. 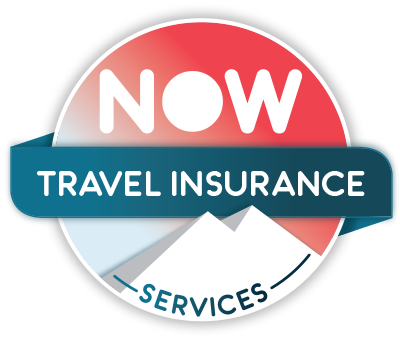 Now Travel Insurance Services is a trading name of Less Clicks Limited, Less Clicks Limited are authorised and regulated by the Financial Conduct Authority, firm reference number 710589. Less Clicks Limited is a company registered in England and Wales with company number 08344708, registered address 16 Great Queen Street, London, England, WC2B 5DG.